Contact Form Fields marked with (*) are required. We Increase the performance and reduce the consumption of Audi A6 - r.v. od 2004 3.0 Tdi - 165 kw engine! Did you know that branded chiptuning with guarantee can provide to your car up to 15% fuel savings? Why to chip your car at DIESEL TECHNIK? 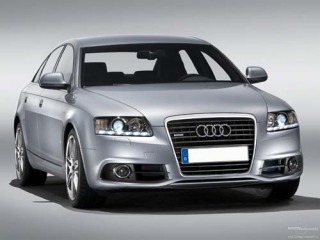 We offer branded chiptuning of Audi A6 - r.v. od 2004 3.0 Tdi - 165 kw, and we guarantee at least 24 months warranty to provided service. 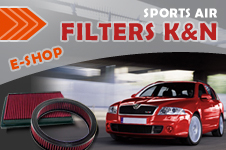 Unlike so-called garage tuners we offer first class chiptuning service. Moreover, thanks to long experiences and excellent technology, we chip without damaging of the engine. How does chiptuning work? Due to changes in the software of the control unit the parameters of the engine Audi A6 - r.v. od 2004 3.0 Tdi - 165 kw are optimized. This optimization, or chiptuning, has the effect of reducing the consumption and increasing the performance. These technical adjustments are possible only by the chiptuning specialists who have professional technology. DIESEL TECHNIK, specialist on chiptuning of Audi A6 - r.v. od 2004 3.0 Tdi - 165 kw. Higher performance, lower consumption - chiptuning is guaranteed! Provozovatelem těchto stránek je DIESEL TECHNIK, firma provádějící profesionální chiptuning.